All DOUBLE JACK homes currently listed for sale in Park City as of 04/19/2019 are shown below. You can change the search criteria at any time by pressing the 'Change Search' button below. "Location, Location, Location. Step out your door to Old Town with easy access to library, town lift, free shuttle system or walk to restaurants, nightlife, and shops. Double Jack units rarely come available. Sunny and bright 2,099 sqft. condo with a great room concept comes furnished; 4 bedrooms (master main level), 4 baths, 2 gas log fireplaces, new carpet, fresh paint, new furnace, new humidifier, A/C, washer and dryer. Generous kitchen features stainless steel appliances, refrigerator, breakfast bar, and dining room. washer and dryer. There is nothing quite like going from the cold snow into a hot tub. There's the private hot tub room and private sauna. 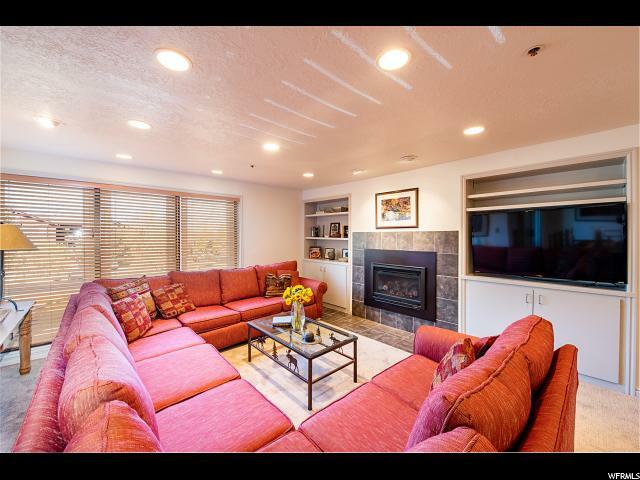 This is a turn-key opportunity to own a great vacation home or ski rental property, perfect for visits by family and friends. Easy living with elevator access, extra storage space, and assigned underground parking."